Four load cell structure for rugged and durable weighing. S.S. 304 Stainless Steel structure for washdown & Anti corrosive application. (Available on S.S. Version only). 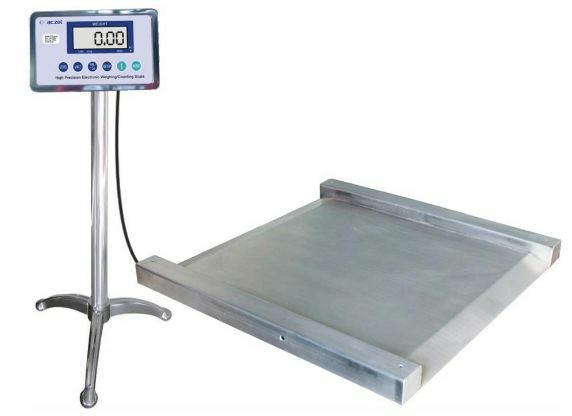 Ultra-low profile, 70mm approx height of platform for easy weighing. Environmentally protected load cell protection class IP 67. 0.56” Bright RED LED/LCD display. • AC 230V + 10% 50-60Hz & with built-in rechargeable battery backup.